Carter is checking you out! 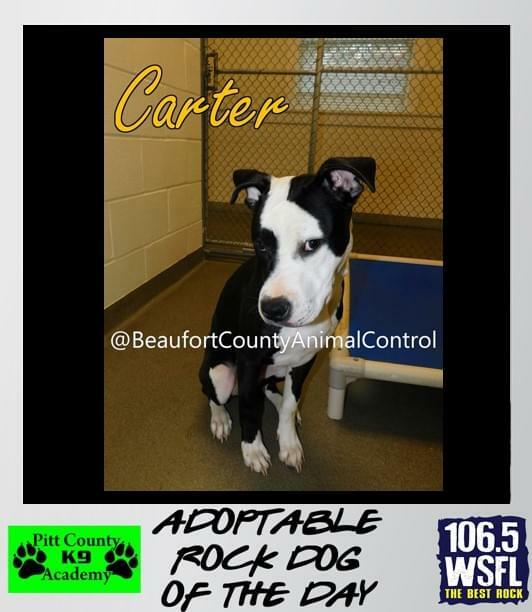 Carter is an approximately 10 month old pit mix who is waiting for his furever home. He is still a puppy, growing quickly, but so laid back. He starts out a little shy, but warms up quickly. He just wants someone to pet him and talk to him. Carter would be a great dog for an active family. Get info on Carter here.